The American Hungarian Federation established the Hungarian American Education and Cultural Preservation Fund (Amerikai Magyar Oktatási és Kultúrális Alap (AMOKA) to support a wide variety of programs from scholarships and internships that develop our future leaders to assisting local communities at home and abroad to preserve Hungarian schools and cultural institutions, language, history and traditions. Please join the Federation and support us! You are also invited to help on these efforts. Founded in 1906, AHF is an all-volunteer, non-partisan, member-supported organization. If you have a suggestion for a worthwhile cause, please join us and get involved! 5/12/2012 - AHF Donates Laptops to Zalaber Elementary School. Erika Fedor, AHF Social Committee Chair, presented the laptops to Albert Kiss, Principal of the Zalaber Elementary School. Also attending was AHF AssociatePresident, Gyula Balogh and Zsuzsa Dreisziger heads of the Hungarian American Club in Hungary, AHF's sister organization. The 2011 Hungarian Ball in Washington, DC, supported the Hungarian Reformed Church Nursery School in Bácskossuthfalva: Founded in 2005, this is the ONLY such school recognized by Serbian authorities. Despite the recognition, Serbia has refused to extend any financial support. The school is under serious financial distress and your support is greatly needed and appreciated. 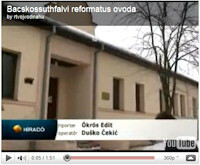 See the VIDEO INTERVIEW ( magyarul). Preserving a proud past: Hungarians and Americans have been connected inextricably from the start. Americans of Hungarian descent have fought and died in every American war since the War ofIndependence. Many of the Hungarian American heroes from countless battles are buried at Arlington National Cemetery. AHF established regular commemorations to preserve the memory of these brave souls and serve as an educational resource for future generations.2007 Memorial Day Commemoration Ceremony at Arlington National Cemetery, for example, included a wreath laying the Tomb of the Unknown Soldier and walking tour of Hungarian-American gravesites. [read more]. 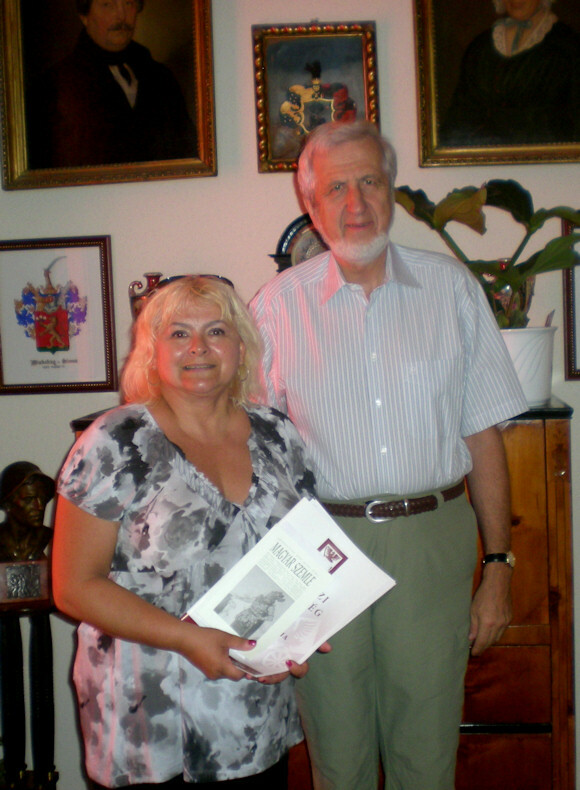 AHF donated to the Rákóczi Szövetség (Rakoczi Foundation) supporting ethnic Hungarian communities in the Carpathian Basin. 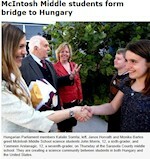 The donation was targeted at providing scholarships and other support to students and families in Slovakia. Anti-Hungarian practices in Slovak state school registration and the Slovak Language Law forbidding the use of Hungarian in official business make it difficult for these historic communities to preserve their over 1000-year-old heritage. Hungarian Scouting - The Magyar Cserkészszövetség, the primary national Scouting organization of Hungary, was founded in 1912. Later, Hungary was a founding member of the World Scout Bureau in 1922. The first Hungarian National Jamboree in 1926 had 10,000 participants. Hungary hosted the fourth World Jamboree in 1933 at the royal forest of Gödöllo, outside Budapest, in which 26,000 Scouts from 54 nations camped together. The camp chief was Teleki Pál, the member of the International Committee who later became Prime Minister of Hungary. Scouting was well organized and popular in Hungary until it was officially abolished by the Communist regime in 1948, but remained nascent underground. In 2007, proceeds from the Hungarian Ball in Washington helped helped ensure Washington Hungarian Scout participation in the 21st World Scout Jamboree in England. Rebuilding Museum following the disaster of Hurricane Katrina: AHF distributed funds to the Arpadhon (Albany, LA) Hungarian Settlement Historical Society (HSHS). Julia Bika of the Louisiana Hungarians, who also suffered the wrath of Katrina, represented AHF as our liaison to HSHS. The funds were used to rebuild the Society's main building that was damaged in the storm. It is the result of World War I and French and Western desires for hegemony in Europe. Developing Central European power and a large Hungary did not further these goals. The Treaty of Trianon, cost hungary 2/3 of her territory, 1/2 of her population (1/3 of which were ethnic Hungarian) and 90% of her natural resources, railroads and infrastructure. At the time President Wilson said: “The proposal to dismember Hungary is absurd” and later Sir Winston Churchill said: “Ancient poets and theologians could not imagine such suffering, which Trianon brought to the innocent.” We are sad to report that they were right. Elöször is KELLEMES KARÁCSONYI ÜNNEPEKET kívánok önnek,az egészcsaládjának és mindenkinek,akinek a segztséget köszönhetem! Nagyon sokat jelentett az iskoláztatásomhoz az a pénz összeg, amit Bélabácsival gyujtöttek.Vagy jobbanmondva segítségként ajánlottak fel. Mind ahogy az önéletrajzomból kiderül Vajdasági magyar diák vagyok. Erre mifelénk elég ínséges idok járnak. Kormányválltás az elmúlt idoben rengetegszer történt, ígéretek is elhangzottak rengeteg helyrol még az anyaországból is. Sajnos a kettös állampolgársággal kapcsolatos népszavazás is megbukott. Nehéz az a tudat, hogy sehol nemvagyunk igazán otthon.Vajdaságban a szerbek nem fogadnak el minket, az anyaországban szintúgy. Ezért is köszönöm, hogy ilyen távol is vannak segítokész emberek. Remélem egyszer adódik egy olyan helyzet, amikor ezt a segítséget meg tudom majd hálálni! Mégegyszer Békés Szeretet teli Karácsonyt kívánok! Bácskossuthfalvi lakos vagyok,vagy ismertebb nevén Ómoravica. A mit el kell mondanom a szüleimrol, hogy mindketten az egészségügyben dolgoznak. Édesanyám, Éva egészségügyi novér, édesapám László egészségügyi technikus. Mindketten az ,,Otthon,, nevu állami intézményben dolgoznak, ahol szellemileg fogyatékos emberek gondozásával foglalkoznak. A családi helyzetemet nézve,szüleimmel élek. Egyke vagyok.1985 november 19-én születtem Bácska Topolyán. Az idén töltöm be a tizenkilencedik életévemet. Az általános iskolát Ómoravicán fejeztem kituno tanulmányi eredménnyel. Majd a középiskolát a topolyai Dositej Obradovic Gimnáziumban, 4,07-es jeles tanulmányi eredménnyel. Angol nyelvbol, magyar nyelvbol és képzomuvészetbol érettségiztem. Jelenleg a Szabadkai Óvóképzobe íratkoztam be, önkölcségire.Amit még rólam tudni kell, hogy nagyon szeretek sportolni, jártam küzdosportra is, és imádok festeni, rajzolni, zobrászkodni, a képzomuvészet minden részét. Ezért régi álmom, hogy rajztanár legyek. Szeretnék gyerekekkel foglalkozni, átadni minden tudásom, tapasztalatom és remélem sikerül majd ezt valahogy megvalósítani. lehetetlenség állami támogatásra bejutni itt Szerbiában a képzomuvészeti akadémiára,mert többnyire azok jutnak be akik az ottani tanárokhoz járnak felkészítore és kifizetik az órákat. Persze a szüleim anyagilag azt nem bírnák ezért íratkoztam ovóképzobe, majd onnan tanárképzobe szeretnék menni és így rajztanár lenni. Ez az álmom már kis elsos korom óta. Ezmellet szeretnék megtanulni angolul mert szerintem a mai világba már nélkülözhetetlen. Most a helyzetem olyan, hogy bent kell laknom Szabadkán, és mivel önkölcségin vagyok mindenért kell aránylag sokat fizetni. Ezért is nagyon köszönöm a segítséget, mivel e nélkül nehéz lett volna.